I like reading new-to-me authors. Part of this experience lies in the thrill of the unexpected, the possibility of finding that fresh turn of phrase, that je ne sais quoi of writing: voice. But voice is tricky and in many novels, especially first person historical novels, it falls flat. Le’ts just say Gortner very much surprised me. So, first on the bigot disclosure (my own, of course): I was reticent about reading this book because 1) given Catherine’s bad rep, portraying her as sympathetic is a Mount Everest worthy endeavor and 2) a fictionalized account of this raging she-serpent was written by a man. This hesitation, however, was not uncommon for I soon discovered my female friends reacted in a similar vein. In memory there is one male writer whom I thought has inhabited the female mind flawlessly and that’s Wally Lamb. Well, C.W. Gortner, you now belong in that exclusive club because I believed every word you wrote as if it came out of Catherine’s mouth directly! I am ashamed of my prejudice. I not only sympathized with Catherine, I liked her. I felt her hate for Diane, her frustration over her children’s ineptitudes and the equal force of her love for them. Her connection with her son, Henri, sparkled off the pages. From the beginning she came across as a multi-textured woman—shrewd and ruthless, but also passionate and resilient, at odds with her time. This revision of Catherine is one I can live with, not the Medusa, the deadly queen mother, but instead a powerful Medici through and through. I felt this when reading Gortner’s version of the tale. Who could blame Catherine? Who, to save her children, herself, might not do the same? The book was so well executed I’m having trouble recalling Gortner’s writing style—it was transparent in the way that all first person narratives should be. I never detected the writer within and I think that’s the greatest compliment when it comes to this genre (or perhaps any). Historical fiction can be laden with superfluous details thereby forcing the characters to take a back seat. Not so here. 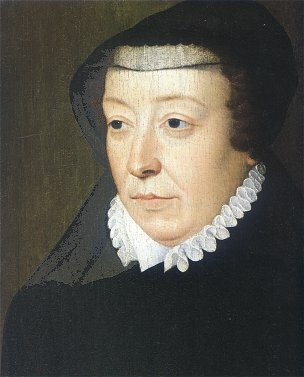 My only complaint regarding Confessions of Catherine De Medici was I wished the book were longer. 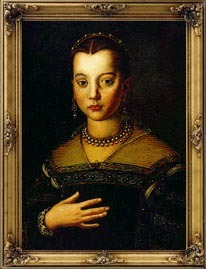 Since Catherine lived to 69, outliving her husband and two of her reigning sons, as well as surviving the Catholic-Huguenot wars and several other ordeals, her life was rich with anecdotes and adventure. I would have liked to further entrench myself in her experiences, but then again, publishing demands brevity nowadays and I would not blame this minor fault on Gortner. The book was a delight. I highly recommend it and based on reviews I will definitely be checking out Gortner’s other historicals, The Last Queen and The Secret Lion. Reviewed as part of the Oh-La-La French Historical Challenge.